One of my addictions hobbies is rubber stamping. For those of you unfamiliar with the term (and my husband wishes he were one of you), here’s a brief explanation. 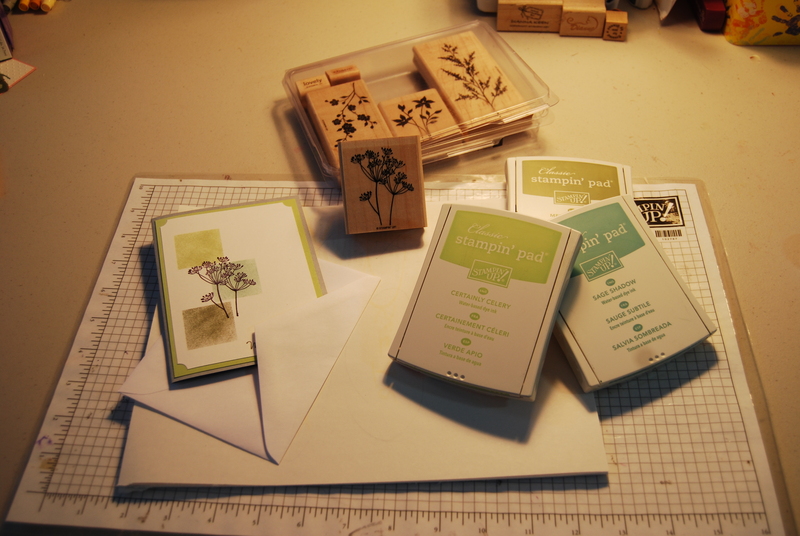 Using rubber stamps, ink pads, card stock and various and sundry embellishments, we create our own greeting cards. (You can create other items using stamps, but my gang usually sticks to cards.) 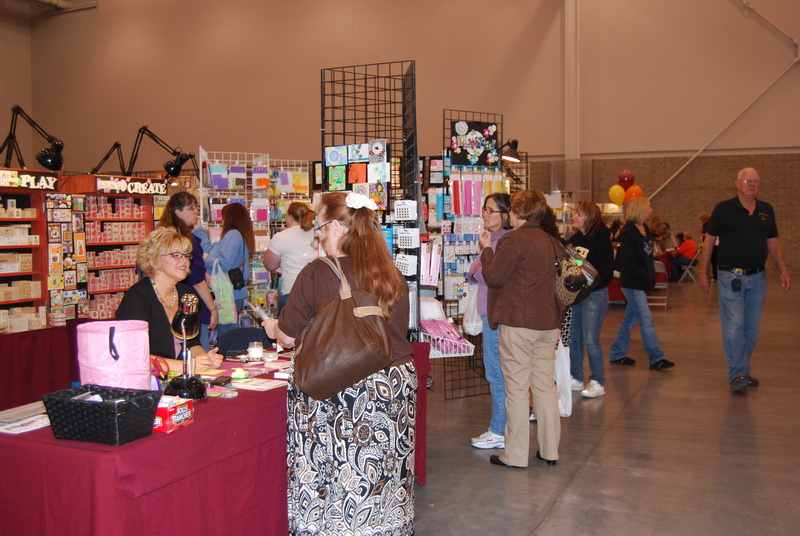 We have stamping workshops where we learn new techniques, we check out stamping web-sites on a daily basis, and we subscribe to stampers’ blogs. It’s a fun obsession hobby. 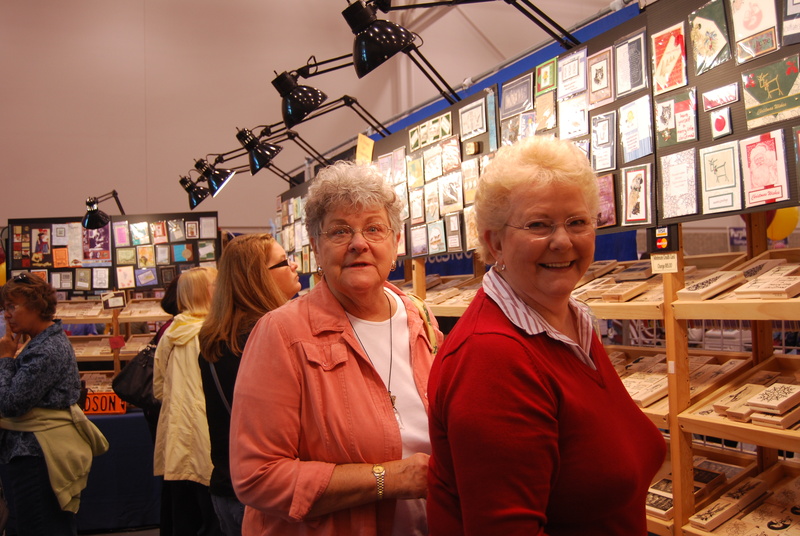 Once a year, there’s a stamping convention in our area. We wait anxiously for that weekend in October . When the day arrives, we stand in line waiting for the doors to open. 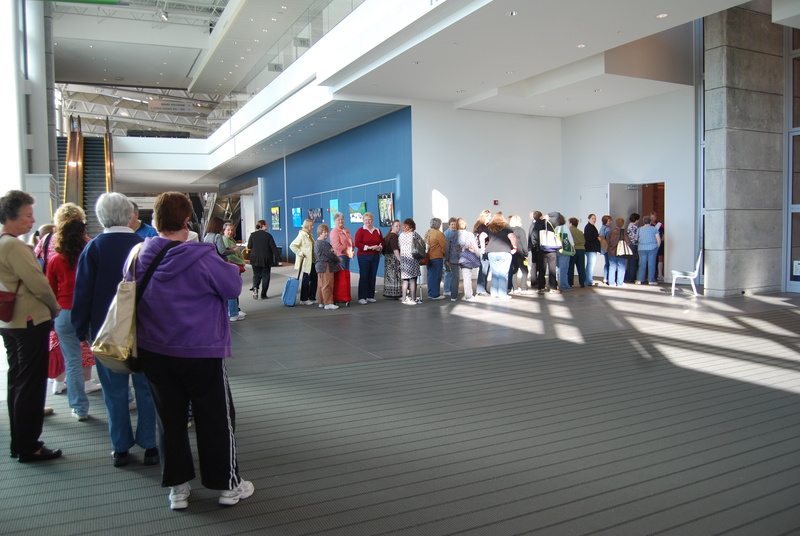 Once inside the convention, we visit vendors’ booths, where we stand in more lines. We’re all anxious to see what new items are available and learn still more techniques! This is my friend, Doris (in the white top), and her sister, Cindy. They’ve adopted me. Doris introduced me to this addiction hobby several years ago and has taught me so much about stamping. She and Cindy both make beautiful cards. Plus they’re really sweet girls. I’m proud to stand beside them and say: “I AM A STAMPAHOLIC“. Well, I have to run now. There are new stamps calling to me from my stamping room….